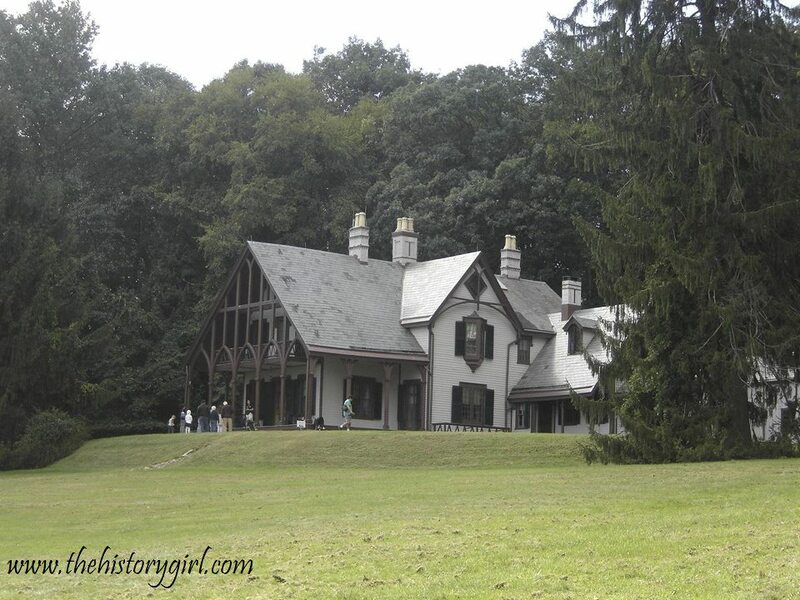 Weekend Historical Happenings: 6/21/14 - 6/22/14 ~ The History Girl! On Saturday evening at 7:00 pm, enjoy a special benefit performance by the Hudson Shakespeare Company of "Twelfth Night" at and for The Historic Jersey City and Harsimus Cemetery, located at 435 Newark Avenue, Jersey City, NJ. Seating is limited so feel free to bring a comfy lawn chair or blanket! Suggested donation of $10 per adult and $5 for children/seniors at entrance gate. For more information, call 201-707-0738 or visit www.jerseycitycemetery.org. Visit the Red Mill Museum Village and enjoy old time tractors, engines, and trucks on Saturday from 12:00 noon - 4:00 pm. Try your hand at milling activities on each floor of the Red Mill to learn how the Red Mill once used water power to turn an elephant's weight in millstones to grind grain for food. Enjoy tons of family activities from cow milking and butter churning to old time ice cream making and weaving. Sit in on a presentation on the topic of early agriculture and industry. Enjoy elements of a farmers market and meet organizations from the agrarian community. Explore the Museum's historic buildings and quarry and meet a blacksmith working in the forge. Even participate in a strawberry rhubarb pie competition either as a taster or by submitting your own strawberry rhubarb creation! If you'd like to be part of the competition by submitting a pie, e-mail programs@theredmill.org or call 908-735-4101. Admission to the program is $9 adults, $7 seniors, military, and veterans, $6 children 6-12, and free for Museum Members and Children under 6. Free municipal parking available nearby. For more information, call 908-735-4101 or visit www.theredmill.org. Meet craftsmen who can make your restoration project come to life! The Fair includes free workshops, activities for kids, and music as part of Make Music Montclair Day. Admission is free and no registration required. The event will be held from 10:00 am - 4:00 pm at 108 Orange Road, Montclair, NJ. The rain date is Sunday, June 22 from 10:00 am - 4:00 pm. Free Workshops include: 1) Researching Your House's History at 10:00 am with Barton Ross, Preservation Architect and Planner. 2) Historic Tax Credits at 12:00 noon with Jim Robbins, Historic Redevelopment; Manager, Garden Vista Ballroom. 3) 100+ years of Kitchen and Bath Design at 2:00 pm with Jane Eliasof, Executive Director, Montclair Historical Society. For more information, call 973-744-1796, e-mail mail@montclairhistorical.org, or visit www.montclairhistorical.org. This Saturday, celebrate the 168th anniversary of baseball with a commemorative vintage baseball game at Hoboken High's JFK stadium at 1:00 pm. Cheer the Hoboken Nine Vintage Base Ball Club versus the Flemington Neshanock! The teams play baseball using 19th century rules and 19th century equipment. Entrance at Jefferson and 10th Streets in Hoboken, NJ. Free admission. Sponsored by the Hoboken Historical Museum. For more information, call 201-656-2240 or visit www.hobokenmuseum.org. On Saturday, between 10:00am and 4:00 pm, visitors to the 130-acre Howell Living History Farm can meet milking goats, and help farmers make cheese, butter and ice cream. Activities will take place throughout the day: cheese making, ice cream making and butter making. Goat milking demonstrations and bottle feeding baby goats will also take place. If so, you won’t want to miss the East Amwell Historical Society’s Cemetery Tour on Saturday. The History Bus will be rolling out to visit five cemeteries: four in East Amwell and one in neighboring Hopewell. Discover the story of these cemeteries and learn about some of the people buried at these sites. The historical society will offer morning and afternoon sessions of this tour with the bus leaving from the town hall parking lot. The morning session begins at 10:00 am and the afternoon at 2:00 pm. Tickets cost $15 per person. To reserve a seat on the bus, e-mail Pauline Seramba at pseramba@hotmail.com or call 908-797-9024. The tour features stops at St. Andrews, Larisons Corner, Pleasant Ridge and North Hill cemeteries. Participants will learn about such famous locals as Penelope Stout, Gov. John Reading, and Capt. John Schenck, who led the local militia against a British raid in Hunterdon County just prior to George Washington’s crossing of the Delaware River in Dec. 1776. The last stop on the tour will be at the Stoutsburg Cemetery located in the Sourland Mountains. This cemetery dates back to the 1700s and is the final resting place for numerous African-American residents and veterans who served in wars dating back to the American Revolution. The oldest marked grave belongs to Private William Stives who fought with the 3rd New Jersey Regiment during the American Revolution and wintered with Washington at Valley Forge. During National Dairy Month tour the creamery at Fosterfields Living Historical Farm. See what rooms were used for milk and butter processing and as a bunkhouse for workers. The building has limited accessibility. Admission: $6/adult, $5/senior (65+), $4/child (ages 4 -16), $2/child (2 and 3). FREE for children under age 2 and Friends members, with a current membership card. Fosterfields Living Historical Farm is located at 73 Kahdena Road, Morristown, NJ. For more information, visit www.morrisparks.net. Interested in ghost hunting? Like learning about the supernatural and spooky? Visit Historic Cold Spring Village for its ‘Paranormal Pursuits’: Spiritualism in the 1800s weekend event to be held on Saturday and Sunday from 10:00 am - 4:30 pm. In addition to experiencing the Village’s 26 restored, historic buildings dating from 1691 - 1912, guests can enjoy various workshops, demonstrations and tours which highlight the study of spiritualism and the paranormal. Local paranormal investigation groups, including Truth Paranormal Investigators of South Jersey, will share the findings of their investigation at the Village and demonstrate their ghost hunting equipment in the Welcome Center throughout the weekend. Guests can also explore the Village’s own paranormal past and present during a ghost walk led by longtime Village staff member, Shirley Stefanovicz, at 12:30 and 3:00 pm on both Saturday and Sunday. At various buildings throughout the Village, Stefanovicz will detail the supernatural experiences had by Village staff members as well as the evidence of ghostly presences discovered by visiting mediums and psychics. Sunday will also feature a special guest, the Pennsylvania-based paranormal research team Lights Out. They have appeared on Animal Planet’s paranormal television series "The Haunted" and will be available for a question and answer session as well as a demonstration of their paranormal evidence, including findings from the Village. Additional programs will include readings of palms, tarot cards and runes for guests, eerie folk storytelling, a Q&A session with a local psychic medium and hands-on divining rod demonstrations. Dr. William B. Gahn will give demonstrations of phrenology, a 19th century field of science that held that the bumps on your head explained your character traits. On Saturday and Sunday at 1:00 pm, HCSV Deputy Director for Education and Interpretation Jim Stephens will lecture on the lively practice of spiritualism in the 1800s. 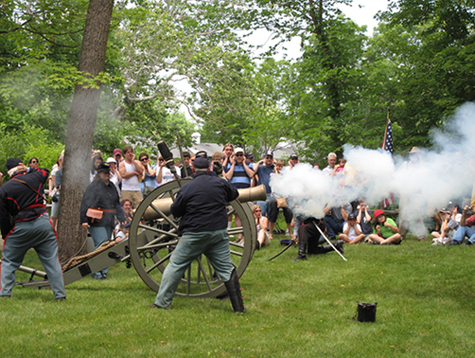 Step onto the battlefields of the American Civil War and into the lives of those involved at the Civil War Weekend at Historic Speedwell. The reenactors will lead activities throughout the eight-acre site, presenting the daily lives of soldiers, such as authentic cooking, dress, and general setup. Enjoy musket drills, artillery drills, the daily mail call, bayonet drills, and a staged skirmish. Marching drills include period instruments as soldiers proudly go into battle. Cover your ears as the massive period cannon takes aim and fires! Enjoy learning about the basics of battlefield medicine for soldiers who suffered injuries or disease. Visit the medical area where re-enactors care for the 'wounded.' Historic Speedwell is open from 10:00 am - 5:00 pm on Saturday and 10:00 am - 4:00 pm on Sunday. 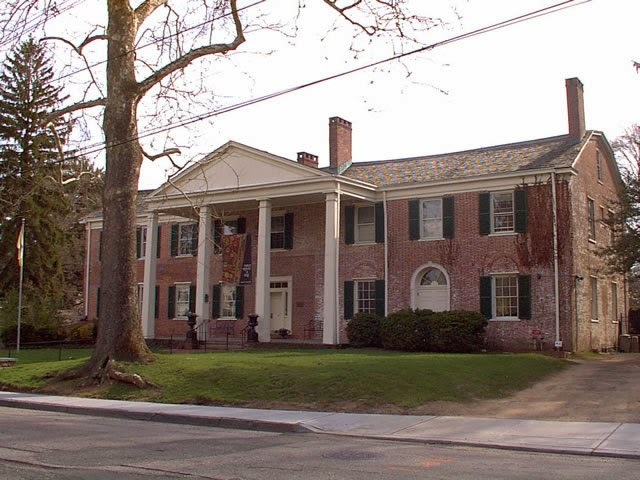 Historic Speedwell is located at 333 Speedwell Avenue, Morristown, NJ. For more information, call 973-285-6550 or visit www.speedwell.org. Enjoy delicious Jersey fresh clams, crabs, scallops and shrimp from the finest local seafood purveyors at the Tuckerton Seaport on Saturday and Sunday from 11:00 am - 5:00 pm each day! Crafters, vendors, music, food, beer garden, family activities, demonstrations, boat rides, boat builders and decoy carvers. Speak with commercial fishermen to learn about occupations on the bay or take a clam shucking class. Entertainment by local favorites Motts Creek Pickers (Saturday) and the Billy Walton Band (Sunday)! Listed as one of the best outdoor festival by NJ Monthly Magazine. Presented by the Jersey Shore Folklife Center. General admission: adults $8, seniors $6, ages 5-12 $5, under five free and Seaport members free. Tuckerton Seaport & Baymen's Museum is located at 120 West Main Street, Tuckerton, NJ. For more information, call 609-296-8868 or visit www.tuckertonseaport.org. 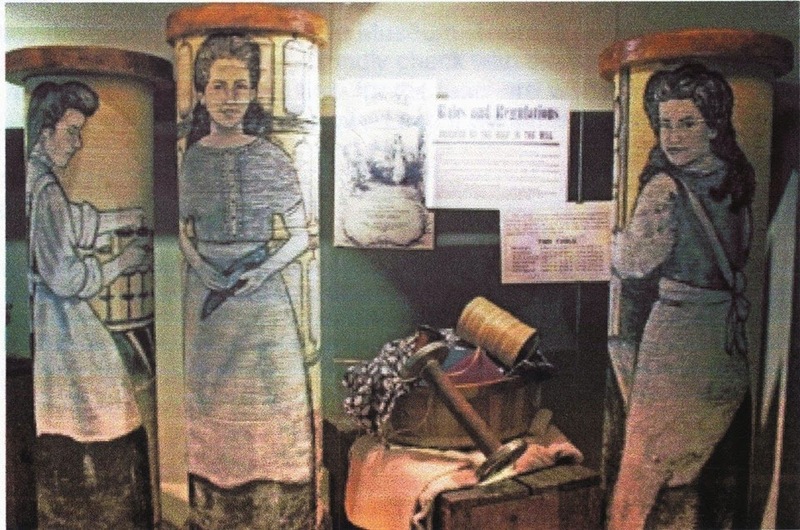 The Old Barracks Museum features Trenton's arts collective AbOminOg Intl. as they ignite their cupolette furnace and pour medallions commemorating the 350th anniversary of New Jersey statehood on Saturday and Sunday. The grounds of the Old Barracks Museum will open at 7:00 pm and the iron pour begins at dusk on Saturday. Limited-edition medallions can be reserved ahead and will become available for purchase on Sunday. This once-in-a-lifetime event is free and open to the public. AbOminOg Intl. 's outdoor molten iron pour will run concurrently with Art All Night, the signature celebration of creativity hosted by Artworks Trenton. Together these two events provide an amazing opportunity to showcase the current state of the arts in this formerly industrial city. The process of pouring these commemorative medallions at this site connects the history that the Old Barracks Museum interprets, and AbOminOg Intl. 's focus on the revolutionary industrial material of iron. As the first art happening at the Old Barracks Museum, it will allow the visiting public a new perspective on the relationship between the past and the present in the formation of the future. It will also be a spectacular cinematic event, offering molten drama and sparkling lights in the shadow of the New Jersey Statehouse's golden dome. The Old Barracks Museum is adjacent to Petty's Run, site of the only excavated Colonial steel furnace in America. 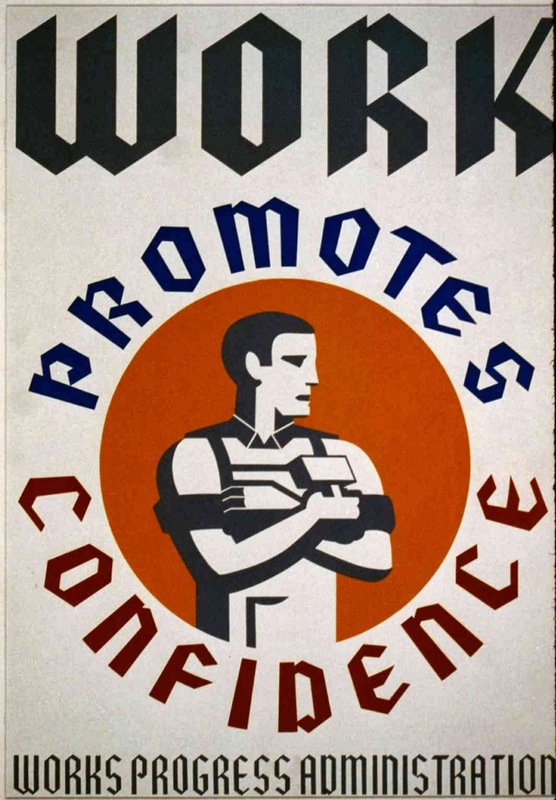 The domestic production of iron was a critical factor in assuring our nation's independence. Trenton's history of industry, manufacturing and self-reliance is reflected in the AbOminOg Intl. model of collaboration through sweat equity and up-cycling iron scrap into sculpture. The essence of the artist collective's cause- to teach and facilitate artists of diverse backgrounds, age groups and skill levels in the creation of cast-metal sculptural artworks within an inspiring, supportive and sustainable setting while positively affecting the community and the art world at large- has remained the same since their inaugural iron pour in a Trenton backyard on December 31, 1999. Also on view in the Old Barracks garden is the sculpture of AbOminOg Intl. Arts Collective in an exhibit entitled "Founding the Future: A Continuum of Iron Casting in Trenton with AbOminOg Intl. Arts Collective", on view through October 31, 2014. Exhibiting artists include Kate Graves, Aylin Green, Bruce Lindsay, Rory Mahon, Steve Morse, Joanna Platt, Matt Reiley, David Robinson and Scot Thompson. The Old Barracks Museum is located at 101 Barracks Street, Trenton, NJ. For more information, call 609-396-1776 or visit www.barracks.org. Bring your family to the Battlefield Saturday or Sunday and travel back in time to the 1770s. Two armies will be preparing to do battle. Continental Army soldiers retrained at Valley Forge are itching to show off their new skills, while a British-German-Loyalist Army hopes to crush the rebels and restore good government. Come early for a full day of living history. The army encampments will welcome visitors beginning at 9:00 am each day. Watch soldiers clean their muskets while their women prepare what may be their men’s last meal. Some officers may be drilling their men while others plan for the battle and yet others play cards. If someone is accused of cheating, there may be a duel. Keep track of your children or they may be drafted into one of the armies! The camp closes at 4:30 pm on Saturday and 3:00 pm on Sunday. The weekend is sponsored by the reenactment community, the Friends of Monmouth Battlefield, and the New Jersey Division of Parks and Forestry. The Friends of Monmouth Battlefield will be requesting an $10 per vehicle donation to defray the costs of the weekend. The main entrance/visitor center at Monmouth Battlefield is located at 16 Business Route 33, Manalapan, NJ. For more information and a full listing of the weekend's events, visit www.friendsofmonmouth.org. Come browse among the many dealers at the Antiques and Fine Crafts Fair on Saturday (rain date Sunday) in West Cape May at Wilbraham Park, Broadway and West Perry streets, from 9:00 am - 5:00 pm. Free admission and free parking. Sponsored by the Greater Cape May Historical Society. Proceeds benefit the Colonial House Restoration Fund. For more information, call 609-898-1236 or 267-649-7914 or visit www.capemayhistory.org. New Jersey is celebrating its 350th birthday, and you’re invited! On Sunday from 11:00 am - 5:00 pm a family festival called NJ350: A Capital Celebration will take place at the Capital Complex in Trenton with an array of arts and history activities and attractions for people of all ages, as well as food and beverages from local vendors. The event is the first of its kind and festivities will span the length of the Capital Complex, from the State Museum to the Old Barracks, including the State House. “The arts and history are so tightly interwoven in the fabric of Trenton that a family festival here on the Capitol Complex should be both a fun and fitting celebration of New Jersey’s 350th birthday,” remarks Christian Martin from the Trenton Downtown Association (TDA). The TDA fills an instrumental role in the planning and implementation of the day which also includes vendors from their regular Farmer’s Markets in addition to specially invited food trucks offering traditional festival menus. Festival offerings include a customized line-up of live, outdoor theater and music performances, specialized history tours, exhibitions, and interactive programming at the State House, the NJ State Museum, the State Archives, Petty’s Run, and the Old Barracks Museum. On-site for the day will be the acclaimed New Jersey Hall of Fame Mobile Museum, and a NJ 350 Film Series at the State Museum auditorium will feature great New Jersey films and filmmakers from Thomas Edison to Zach Braff. A highlight of the afternoon is a must-see State House Rotunda exhibition of the original 1664 land grant – or New Jersey’s birth certificate - that created our state as we now know it. Between 12:00 noon and 4:00 pm, meet Governor Livingston in the Senate Chambers at the State House. At 2:30 pm, enjoy a visit with Benjamin Franklin at the NJ State Library. Both programs are free and open to the public. This event will be held rain or shine. For more information and a detailed list of the day’s programs and performances, visit www.officialnj350.com. Tewksbury Historian Shaun C. Van Doren will hold a lecture on the history of Mountainville, followed by a guided walking tour on Sunday beginning at 1:00 pm. This lecture and tour are part of the 300th celebration of Hunterdon County. Advance registration is required for the walking tour. The tour will be cancelled in the event of rain however the lecture will still be held. The lecture will be at the Mountainville Meeting Hall, 60 Water Street, Mountainville, NJ. To register for the tour please call 908-832-6734 or email tewksburyhistory@earthlink.net and provide your name, phone or email and number in your party. Come spend an afternoon in the hamlet of Mountainville. First enjoy brunch or a cup of coffee at Mountainville Expressions, then listen to an informative lecture on how Mountainville was founded, what life was like over 100 years ago, what businesses were thriving and who were some of the people who lived there as well as the origins of the mysterious Hell Mountain. Then take a walk on Water Street and Main Street to view the beautifully restored homes and unique architecture, and learn some more about the history of past residents and life living there. There is a suggested $5 donation for those going on the tour with all proceeds going to the Tewksbury Historical Society. Refreshments will be served. For more information, visit www.tewksburyhistory.net. 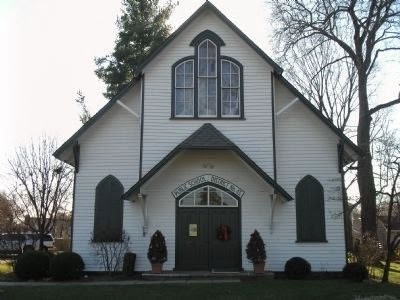 Allaire Village hosts the "Wedding of Maria Allaire" on Sunday at 1:30 pm in the Historic Allaire Village Chapel. Maria Haggerty Allaire was the second daughter born to James and Frances Allaire and in June of 1836, she was married to Thomas Andrews, Manager of the Allaire Works in New York City. The Villagers will be recreating this festive day and hope you will join in the celebrations! Couples can also register to be a part of our Vow Renewal Ceremony! Following the ceremony in the church, visitors and the wedding party will move to the Village Green for wedding cake and a Village Frolic. The wedding cake is provided courtesy of a local bakery. Admission for Maria Allaire's Wedding is free and there is a $5 parking fee. Other activities throughout the day include 19th century games, cooking demonstrations, music and dancing, craft demonstrations, historic building tours, and more! The Village will be open to visitors from 12:00 noon - 4:00 pm, the General Store and Bakery both open at 10:00 am. This year New Jersey observes the 350th Anniversary of its political establishment in 1664. To commemorate the event, the Trenton City Museum at Ellarslie in Cadwalader Park is hosting a display of items related to the mid-1600s - before there was a place called Trent's-town. 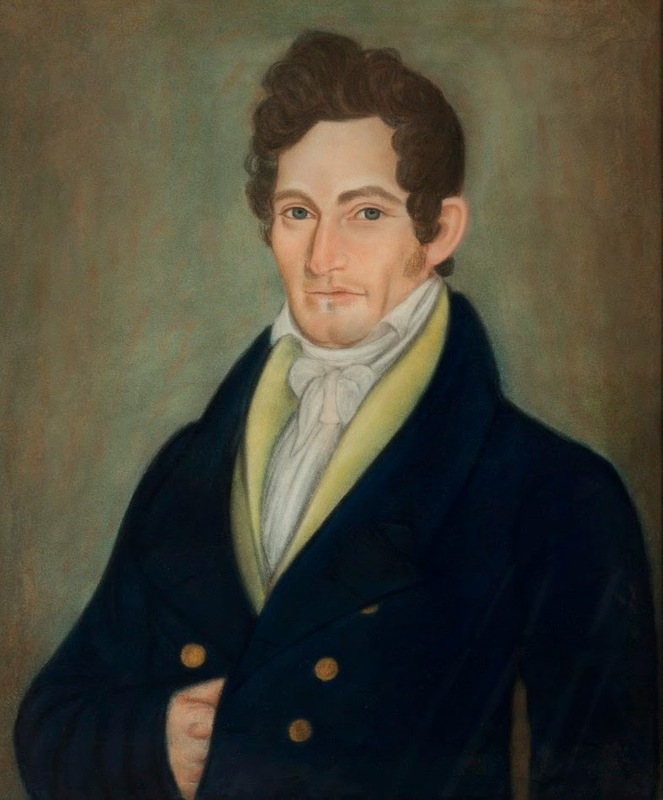 "Before There Was Trenton," on view from June 22 to October 12, 2014 is curated by Trenton Museum Society Trustee David Bosted and son Nicholas Bosted. An informal gallery talk about the display will be given by the co-curators on Sunday, June 29th at 2:00 pm. A formal lecture, "Before There Was Trenton" will be given by the curators on Sunday October 12, at 2:00 pm, on the last day of the display. The Trenton City Museum at Ellarslie is located in Cadwalader Park in Trenton, NJ. 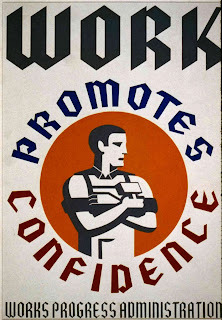 For more information about the exhibit or the talks, call 609-989-1191, e-mail tms@ellarslie.org, or visit www.ellarslie.org. American Indians lived in the Ramapo Mountains for thousands of years prior to the coming of European settlers and they are still here. Indian settlements have been documented through the Highlands region by archaeological excavations most recently within the basin of the nearby Monksville Reservoir and at the Springhouse Rock Shelter in Sloatsburg, NY. 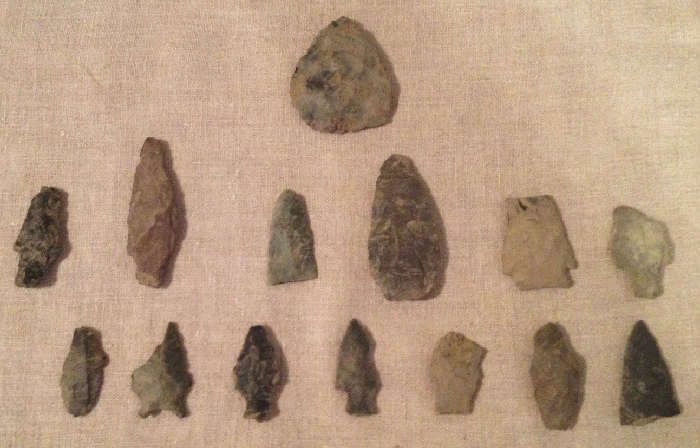 On Sunday, bring your Native American artifacts and have them identified and authenticated by Ed Lenik, archaeologist and author of several books on the Ramapough Mountain Indians, rock art, and Indians in Bear Mountain State Park, N.Y. Lenik will provide the public with a free authentication of artifact collections and answer questions about Indian culture history. This program will be held in the Coffee Shop at Ringwood Manor State Park, 1304 Sloatsburg Road, Ringwood, NJ from 1:00 - 5:00 pm. For more information, call 973-962-2240 or visit www.ringwoodmanor.org. Did you know that a family lived in the Wick House until 1933? Thanks to restoration work done by the Civilian Conservation Corps in the 1930's, the house was restored to its 18th century appearance. See pictures of the restoration work as a park ranger narrates the story of the preservation of this historic house. Programs at 11:00 am, 2:00 pm, 3:00 pm, and 4:00 pm at the Wick House at Jockey Hollow within Morristown National Historical Park, Morristown, NJ. Cost: Free. For more information, call 973-543-4030 or visit www.nps.gov/morr. On Sunday at 4:00 pm on the north lawn at Lambert Castle (home of the Passaic County Historical Society), the Clifton Community Band will present "Music at the Castle: A Welcome to Summer." Founded in 2002 and directed by Robert D. Morgan, the Clifton Community Band is a traditional concert band (brass, woodwinds, and percussion). The band appears in the area and around the state, performing a variety of music including classical, pop, big bands, and marches. Admission to the concert is free but donations are requested. Parking at the Castle is limited and will be first come, first serve. Other off-site parking will be available. Please bring your own seating. In the case of inclement weather, call to confirm that the concert has not been cancelled. This performance is a part of the 2014 Lambert Castle Concert Series. Featuring local musicians and a variety of musical genres, all concerts are performed in the beautiful atmosphere that is Lambert Castle. The Passaic County Historical Society, a 501(c)(3) non-profit, was founded to cultivate interest among individuals and the community-at-large in the rich history of Passaic County. To this end our museum in Lambert Castle showcases examples of the County's cultural and artistic diversity, as well as examples of the County's natural, civil, military, and ecclesiastical history. The society also maintains a library and archive, which houses manuscripts, books and photographs of historical and genealogical interest. Lambert Castle, home to the Society, is located at 3 Valley Road, Paterson NJ. For more information, call 973-247-0085 or visit www.lambertcastle.org. On Sunday, visit Historic Longstreet Farm in Holmdel to take a step back in time to watch a smocking demonstration. Smocking is an embroidery technique used to gather fabric so that it can stretch. Before elastic, smocking was commonly used in cuffs, bodices, and necklines in garments where buttons were undesirable. See this delicate craft in action. The free event runs from 1:00 - 3:00 pm. Historic Longstreet Farm is located at 44 Longstreet Road, Holmdel, NJ. For more information, call 732-946-3758 or visit www.monmouthcountyparks.com. Macculloch Hall Historical Museum in Morristown is celebrating the 350th anniversary of New Jersey with book signings by authors whose work explores aspects of the state’s history. On Sunday, Beth Shaw will be available to sign and sell the book Images of America: Mount Tabor to museum visitors during touring hours, 1:00 - 4:00 pm. Visitors may also wish to visit the second floor gallery exhibit “Made in New Jersey: A Celebration of Decorative and Fine Arts” which stars the Museum’s collection of New Jersey stoneware, silver, and artists such as Thomas Nast, A.B. Frost and Edward Kranich. Ms. Shaw will be available to discuss this book that she co-authored with Mount Tabor Historical Society members Michelle LaConto Munn, David Jones, Andy Pillsbury, Carol Pillsbury and Lori Brown. The Society took on the challenge of organizing a special collection of images for the Images of America book as a way of sharing the history of Mount Tabor with all area residents, past and present. Mount Tabor is a detailed collection of some of the photographs, maps, and brief histories of this nearly 140-year-old community. 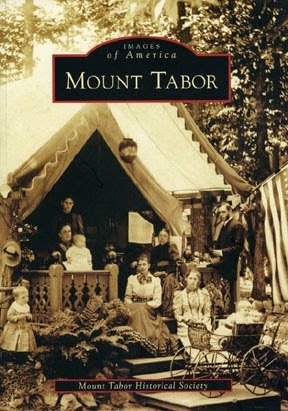 The book offers a unique and organized look into the past lives of early Mount Tabor residents and founding families, from the early days of the establishment of the Camp Meeting Association through the transformation of the tent communities into cottage dwellings. Tucked in the heart of Morris County, an enclave of charming Victorian homes and unique public buildings clustered along narrow, hilly streets, the town pays homage to its distinctive past and embraces the community spirit of its founders. One of New Jersey's earliest permanent Methodist Camp Meeting grounds, Mount Tabor embodied the austere evangelical fervor of 1869. As early as 1891, the religious summer colony expanded its recreational activities, and by 1912 Mount Tabor was more summer resort than religious retreat. After World War II, most of the 350 cottages were converted to year round use, and Mount Tabor has become a viable community within Parsippany, welcoming people from all religions and backgrounds. Today, the unpretentious charm of its humble beginnings permeates the quaint community, and modern residents, like their forebears, are drawn to the rich spiritual heritage of good will and the delightful cottages that invite fellowship. On Sunday at 1:00 pm, the Walpack Historical Society will present "More on Pleasant Valley" by Myra Snook, historian. Myra's talk will include information on the Van Horn family, Nicholas Tillman (stonemason), John Dimon, and their activities in the Tillman's Brook area. The presentation will be held at the Walpack M.E. Church, Walpack Center within the Delaware Water Gap National Recreation Area, Sussex County, NJ. It is free and open to the public. For more information call 973-948-4903. On Sunday, Historic Preservation Planner Dennis Bertland will discuss taverns in New Jersey from the early American period of 1780-1830 in the Dvoor Farm House, 111 Mine Street, Raritan Township, NJ beginning at 10:00 am. Come learn about some of the colonial era’s favorite meeting places and their important role in our nation’s early years. The event is free and open to all. Reservations preferred - please call 908-237-4582 or e-mail dave@hunterdonlandtrust.org. The Hunterdon Land Trust's Farmers’ Market is open Sunday from 9:00 am - 1:00 pm featuring about 20 farmers and vendors offering local produce, meats, cheeses, bread, wine and more. For more information, visit www.hunterdonlandtrust.org.